The commission may recommend for the appointment to all the posts of Group C and Non-gazetted General/Technical/Non-Technical Service /Cadres of the State Government in Group B where there is the provision for direct appointment partially or in full, and Selection on which is not done by Jharkhand Public Service Commission. Provided that, district or field level posts of these service/cadres and uninformed posts of Police, Fire services, and Home Guards shall remain excluded from the purview of State Staff Selection Commission. Jharkhand Staff Selection Commission (JSSC) is going to conduct the main examination on 17th July 2016. Its primary motive is to fill constable posts. All the candidates who have qualified examination held. This exam took place in January 2016. 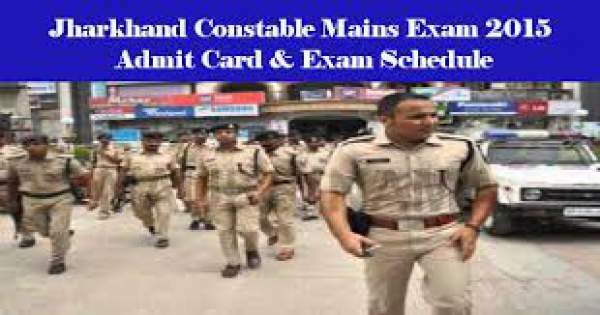 Those candidates are searching for the admit cards for JSSC Constable 2016. JSSC is going to release the hall ticket today on 9th July 2106. Candidates who have cleared the examination held on January 2016 or prelims can download the admit cards from the official or main website. The official website is www.jssc.in. This year it has released notification for the police constable posts and candidates who had qualified in the prelims for the hall ticket. JSSC give online information. A enormous number of candidates applied for the examination held on January 2016, and they can successfully conduct the examination on particular date and timings as given by JSSC. The examination took place on 30th & 31st January 2016. Candidates who have qualified the examination have to follow the steps to download the admit cards. The first step is to reach the official website of www.jssc.in. Here one has to click on the link ‘Jharkhand Constable Mains Hall Ticket 2016‘. Then enter the details of the candidates such as registration number, roll number in the provided field. Then click ok Submit button. Candidates have to download the hall ticket and take the print out of it for future references. This admit card must be taken along with the candidates as it is an important document to sit in the examination. Stay tuned to The Reporter Times for latest education news and all other government jobs updates across the nation. In case of any query, feel free to write it down in the comments. Other readers or we may be able to solve it.